Members of the British Royal Family joined Queen Elizabeth and the Duke of Edinburgh today for the first Buckingham Palace garden party of the season. For this event, the Queen repeated her pale pink boater hat with wide hat band. In a sea of feathered and flowered millinery, the clean lines of this piece stand out and its simplicity is something I have come to adore. Since this ensemble’s last outing, more buttons have been added to the coat, a change I’m less pleased about. The previous single button closure on the coat allowed much of the dress to show through, providing much needed contrast in pattern and texture against the sleek coat and hat. The Duchess of Cambridge repeated her pale blue straw saucer hat with raised back and calla lily trim. The scale of this piece, which is a little larger than most of Kate’s other percher hats, is great on her and while the colour is a little bland, the textured straw is a great counterpoint to her satin coat. Designer: “Sweet Delight” design from Lock & Co. Coat by Christopher Kane. Princess Beatrice also wore a boater hat, in navy and white straw. I love the classic feel of this hat but wish she had paired it with a dress that read less “bellhop” than this one does. Designer: Laura Apsit Livens. Dress is “Winston” by Tory Birch. Princess Anne repeated her cream straw teardrop shaped percher hat with looped straw bows, silk flowers and white net. It’s a decidedly modern piece for our champion royal hat recycler and while not a perfect match for her beautifully embroidered ivory suit, the ensemble works. Princess Michael of Kent repeated a straw picture hat with cream brim and long, arrowhead feather contrasting against a tall, domed and straight-sided black crown. The brim on this design is oval (the left extends much further than the right), a feature better visible during its last outing. The classic colour scheme works well for this most modern shape although her myriad of other accessories makes this a look with a LOT going on. I think this is a strong quintet of hats from the British Royal Family. Which pieces stand out to you most here? This entry was posted in Great Britain and tagged Duchess of Cambridge, Prince Michael of Kent, Princess Anne, Princess Beatrice, Queen Elizabeth. Bookmark the permalink. The Queen’s hat works really well, perhaps because the soft colour mitigates the simplicity / straightness of its lines. I also like Kate’s hat very much, and it seems very good garden party fare, as does Anne’s. (Is that an embroidered radish I see at the top of the coat design?) Beatrice’s boater is good, but it cries out for great simplicity of dress to accompany it. And I have to say I do like Princess Michael’s hat, she has the presence to carry a large hat, so it’s nice, as always, to see her embracing that! Does that pale pink boater remind anyone of this? http://static.torontopubliclibrary.ca/da/images/LC/tspa_0122766f.jpg I’d love to see Anne in a stiff boater again, like her mum and her niece today. That’s why I think Princess Anne and Princess Beatrice should swap hats. Beatrice could also look really interesting in Anne’s beige suit (with some modifications) — Anne’s hat and suit being the right colour for Beatrice, but the wrong colour for Anne. Once she’s wearing the navy/white boater, Anne just needs a suit in a contrasting mid colour –such as cerise. Then imagine if Catherine were to wear Beatrice’s shoes and Anne’s clutch, (giving Catherine a bit of dark anchoring contrast when she wears those paler colours),and if Beatrice would then wear Catherine’s shoes and clutch with the beige suit… well, I better stop there, that’s plenty enough fun for a weeknight. Is this the picture you have in mind? I never put two and two together until now! Queen Elizabeth: love the simple look…it is a nice change from the hats with all of the embellishments. Kate: This style really works for her, clean and elegant. A future queen indeed! Beatrice: I actually like the boater hat. It has a retro look, I am reminded of a picture of Queen Alexandra’s three daughters wearing similar hats. I would have liked a longer hemline. Anne: I think this is one of her better ones though I think it would have been better with a more simple dress. P. Michael: Another classic look. I agree she can “rock” a hat! The Duchess of Cambridge coat is either a satin faced gabardine or probably “Alaskan” which is a silk/wool fabric. It is a gorgeous fitted coat which is always a fabulous choice with her duties.She really has found a formula that works for her. Love the size, shape and embellishment of this new hat. Pretty good show all around, at least on the hats. I like the simplicity of the Queen’s, and the calla lily trim on the DoC’s makes it an interesting variations on one of her standard styles. That’s one of Princess Anne’s better hats, too. I’m amused to see the bullseye effect of Princess Beatrice’s in the overhead shot. That navy circle on the top is unexpected. 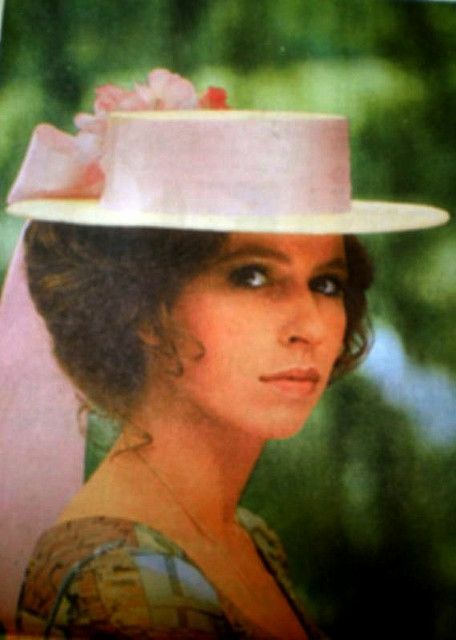 I’d love to see this style on Lady Louise when she graduates from fascinators — perhaps her cousin will pass it along. Queen Elizabeth: I love it all over again – it has a different shape than the standard, like the pale blue feathered triangular beret replacement! Notice the VERY subtle pink-on-pink polka dots on the coat and hat? Very nice touch. I first thought they were raindrops! Duchess of Cambridge: Why would anyone with such a beautiful face and lovely eyes do ANYTHING to hide them? Nice color, though. Princess Beatrice: The aerial shot makes the boater look like a bull’s eye! Ditch the clunky shoes! Princess Anne: The shot looking at her straight on is nice. Princess Michael: For a 17 year old hat, the arrow is starting to point south. THERE, I’m making up today for Chicago Chuck’s new “kinder, gentler” approach to his blog entry. Keep smiling, Chuck. Jimbo, you must have both good eyes and a good monitor. I had to look very hard to see the pink-on-pink. I did notice that the lining of the coat matches the dress, though. That is unusual. Sorry, I entered my comment about the bullseye hat without realizing you had done the same. Oh dear – poor Bea – she has another miss again with the outfit – the hat would have been OK paired with a much simpler dress or suit. Princess Michael takes the cake today in my book, though I do like HM today in this shade. I do not particularly care for the queen’s hat (although the color is lovely, in itself and on its wearer). It’s too hard looking for me, too many straight lines and too rigid. However, I will say a word in defense of the queen’s coat: I agree that the single button allowed more view of the dress beneath, but I wonder if it was in some fashion uncomfortable–pulled in some way about the neck and shoulders, or wasn’t warm enough, or something similar. The Duchess of Cambridge’s hat is a beauty, and looks sensational, although perhaps it does obscure the upper part of her face more that should be done by a properly behaved royal hat. It was a good hat day. I continue to like most of Queen Elizabeth’s flat brimmed hats, and this is particularly nice for its simplicity. The coat was a little simpler too before those added buttons. It’s not a major change, but I think the coat looked better before. Perhaps this is a touch warmer. Princess Anne’s hat was better matched in its first outing, but this isn’t bad. My biggest complaint of the whole day is that the Queen’s pink umbrella is too bright. If a paler pink can’t be found, switch to white. Princess Michael has a confident style of her own that I applaud. She is always well put together. Princess Anne’s hat has lovely trim that makes her hat look beautiful from the front. The oversized teardrop shape doesn’t look as good from the side in my opinion. The Queen’s hat works I think because it sits high enough on her hair and is tilted back from her forehead so you can see her whole face. The wide brim frames her face nicely. The hats of Duchess Kate and Princess Beatrice hide their eyes too much. I really liked all those hats, but the standouts for me, were the Queen’s and Princess Anne’s hats, and Princess Michael’s. That woman can really rock a hat. While I liked Beatrice’s hat, I didn’t think it was the best choice for her. I loved them all, perfect for a Garden Party. I agree with you onthe Queen’s hat – the restraint really helps this simple shape shine, which is surprising as it is quite a harsh shape. The extra buttons weren’t needed but I’d wager were at HM’s own request as she’s known not to like things that don’t stay put. Kate has taken an unusual approach for her and repeated a whole ensemble, she normally mixes and matches more. It’s fine, just a bit bland. I don’t like Anne’s hat with the coat, the colour is all wrong, and I don’t know I just find it a bit fussy for her. MC’s vintage hat, on the other hand, I love. And Beatrice. Oh. Those boater styles do her no favours (see Ascot last year). She suits a softer picture hat so much better. Also the shades of navy don’t work together. It’s just a bit of an odd outfit that leaves me a bit puzzled. Out of formal wear she often looks so great, she just seems to panic under pressure when she has to go for the full rigout. I have to agree with all you say, James! Beatrice needs to get a stylist for occasions that include the Family……….. so often she just gets it all wrong! As for Anne……..PLEASE, HRH get a new stylist or advisor and have a big throw out from your wardrobe – your Mother dresses better that you!! Have to go and pour a stiff G&T now! When I first saw photos of these hats earlier in the day, I was surprised at how simple they all were; but when looking back at past garden parties, there was a lot of simplicity too; I wonder if this is to allow the guests to shine a bit more since they are the ones ultimately being recognized? Anyhow, I still enjoy this hat for HM and am glad to see the return of a hat we haven’t seen in a while (finally!). I do agree that the additional buttons on the coat were unnecessary, and in fact I think make the hat stand out less because it blends in more with the coat now. I recently discovered a photo of the last appearance of Kate’s cocktail hat, and was surprised I somehow missed it (apparently it was during my time after the last royal hat blog I followed dropped off and before I discovered this one). I was hoping it would make a return soon; ask, and ye shall receive! I still like this, but somehow I think it shows off better with her hair down. I think Beatrice’s hat would’ve benefited from a slightly more jaunty angle; that, and a completely different outfit (hat is still good, dress not so much). I’m surprised I somehow missed this headpiece on Anne before now; it’s a great one for her, and I think it pairs very well with this coat (which I still love after all this time). I’m not certain her dark brown shoes work though; I think more beige shoes would be better (horror of horrors, for once I want beige!). I’ve never been a huge fan of Marie Christine’s hat; it is very much of it’s early 2000s era in my opinion. Not necessarily a bad look, but not her most flattering hat. As always, the DoE looks very refined, but I still think William’s top hat is a little large for him in terms of its overall profile. Maybe that would make him more comfortable in his dress duds. He has many, many years of morning suits and top hats ahead of him, so he needs to learn to wear them with conviction, as his grandfather does. Well said as always, Chicago Chuck. Not sure if it’s the soft color or the clean lines as HQ mentioned. So very unusual to see such restraint from Angela Kelly.